Brock Vergakis at the Virginian-Pilot offers a piece on the upcoming Navy espionage case. 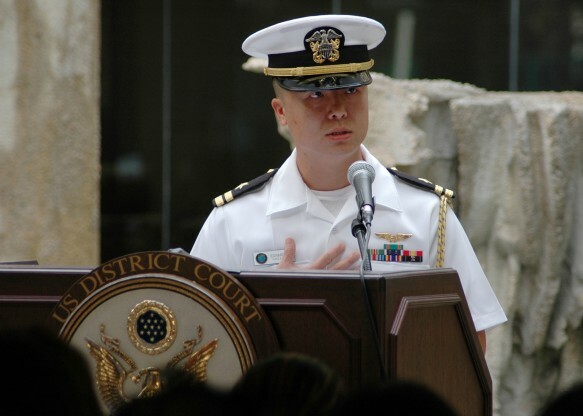 The Navy set an Oct. 26 trial date Tuesday for an officer charged with spying and a litany of other crimes. Lt. Cmdr. Edward C. Lin faces two counts of espionage, three counts of attempted espionage and five counts of communicating defense information, among other things. He has pleaded not guilty. Charging documents show military prosecutors believe Lin committed espionage from 2012 to 2014 in the Washington area.